I plan to send out Halloween cards on Friday. 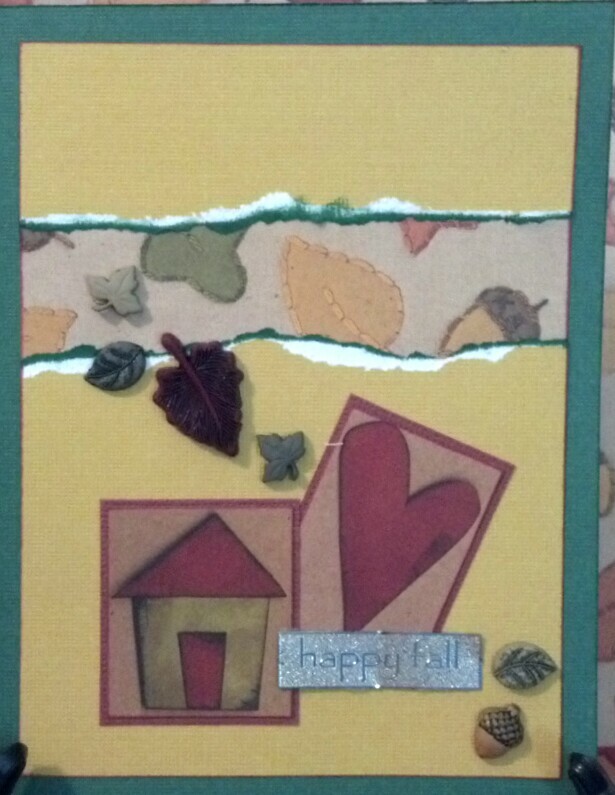 I have a handful of family members who don't do Halloween so I made fall greeting cards for them. When I finished this one... I kinda thought "Christmas"... but I still think it conveys a warm, autumn greeting as well. The little plastic leaves and metal sentiment are all from my long hoarded stash. I actually tore the yellow card stock in half to add the printed paper between the two pieces because I wanted to use the paper. 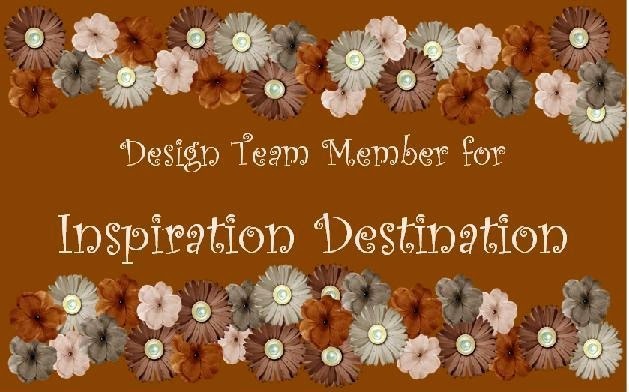 I think it is pretty and I really wanted to share it! :) The two bottom framed printed images are from a long defunct company called Leaving Prints. This was the first monthly scrapping club I subscribed to. Sadly they went out of business about a year after I started using them. I still have their newsletters but these are mostly for scrapping or altering. The cutouts did not from framed. I matted them onto matching card stock. 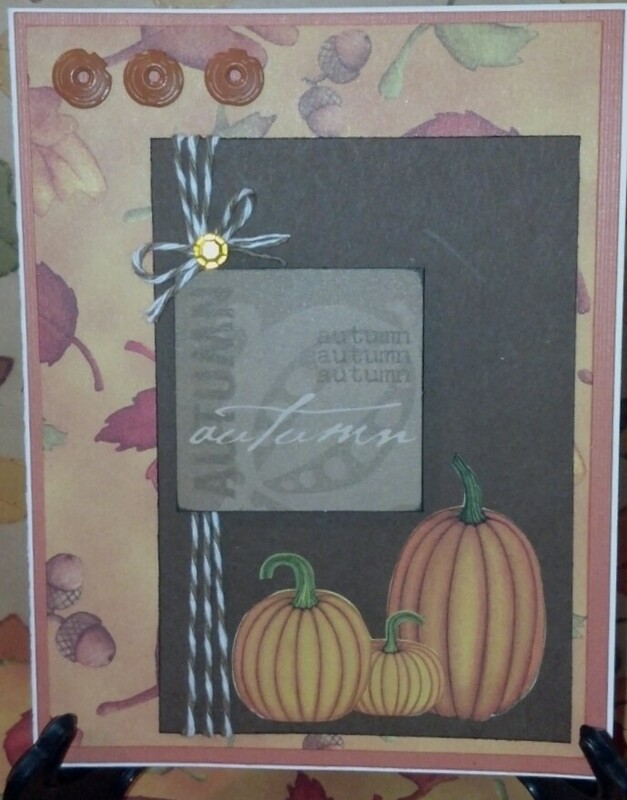 I decided to use the Leaving Prints autumn cutouts on all of these cards. 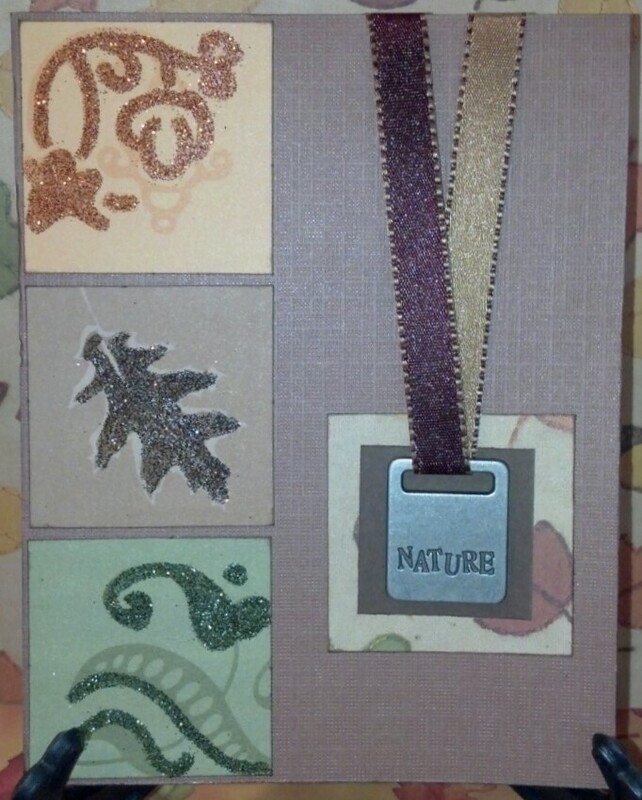 On the three on this card, I outlined a little with my Zig glue and sprinkled with Art Glitter fall collection in matching colors. The metal tag is from my long hoarded stash... I think I remember it came from Making Memories... the ribbon is from Michael's long time ago because it also was hoarded. :( Why did I ever want to buy things just to keep them? :-\ I don't understand this concept now. This one is my favorite. 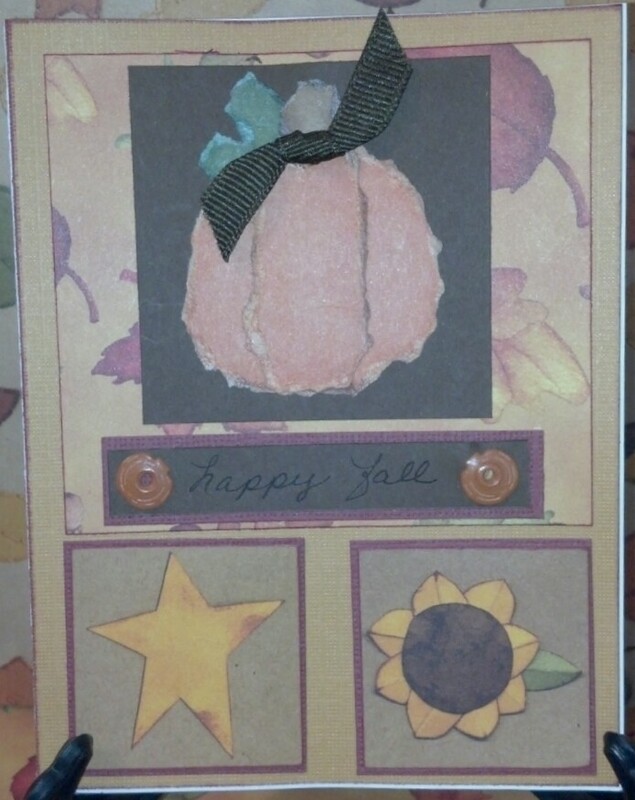 The pumpkins on the bottom are card stock stickers from Miss Elizabeth at Dollar Tree! Yup! Twine is from Raisin Boat. I used a rhinestone to keep the bow from coming unraveled because it seemed to want to! I wasn't having it! The rhinestone was from a stash I bought off of a gal on Facebook. As you can see... up on the left hand side are the three eyelets from Oriental Trading Company I wanted to use. The Leaving Prints cutout is on foam tape so it kind of pops out at you.